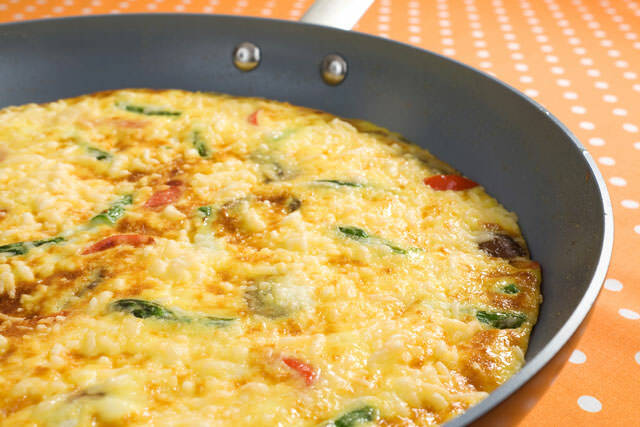 The omelet is one of the easiest meals to prepare, but that doesn’t make it any less tasty. Today, we’ll show you how to make the most common variant and we assure you it will be absolutely delicious. Preheat your oven to 350 degrees, then grease one 8×8 inch casserole dish and set it aside. Beat together the eggs and milk, then add the salt, ham, Cheddar cheese, Mozzarella cheese and minced onion. Pour the mixture into the prepared dish. Bake it uncovered in the preheated oven for up to 45 minutes.